Connect both (D) poles with the two (C) poles. Lean it up against a wall at about the correct angle for the completed goal. Connect one (B) pole to one (A) pole, using an elbow joint to create an “L”. Repeat this process for the remaining (A) and (B) poles. Connect both (A) and (B) “Ls” to the crossbar, using elbows. With the remaining two elbows, connect the bottom bar the other end of the (A) and (B) “Ls”. Adjust the frame as necessary to get the correct shape and hammer joints in place. Screw 3-5 screws into each joint to ensure the goal stays connected. 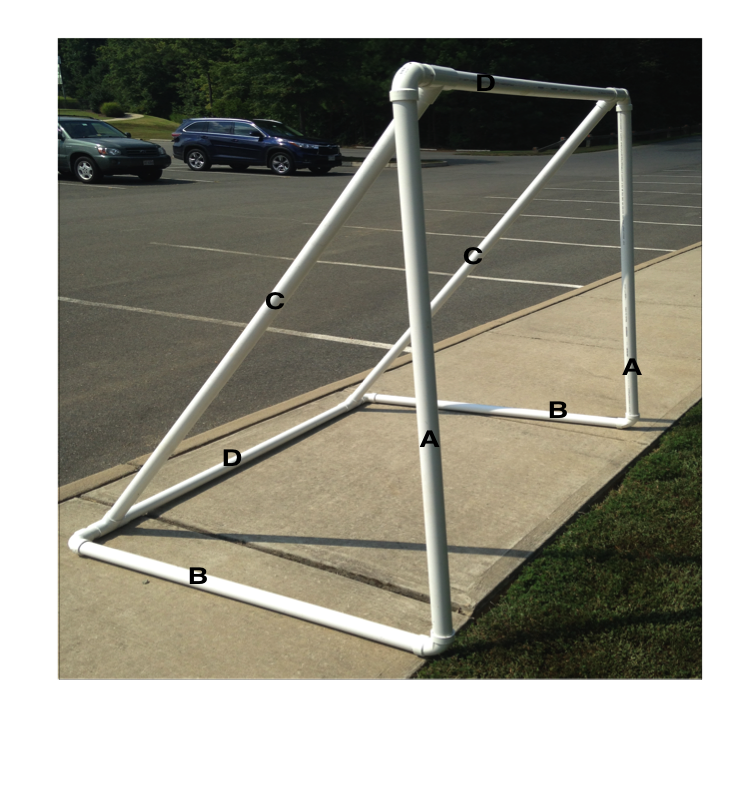 Attach the net; starting in the middle of the crossbar, making sure the net is tight to the posts and corners. Once both ends of the string get to the bottom bar, pull the netting tight over the goal and string the bottom bar. This will leave a fair amount of excess net that is not attached to the frame, which can be cut off.